NewscastStudio’s Set of the Year winners in the Augmented Reality/Virtual Reality category were recognized Monday at Vizrt’s #BigARShow stage. 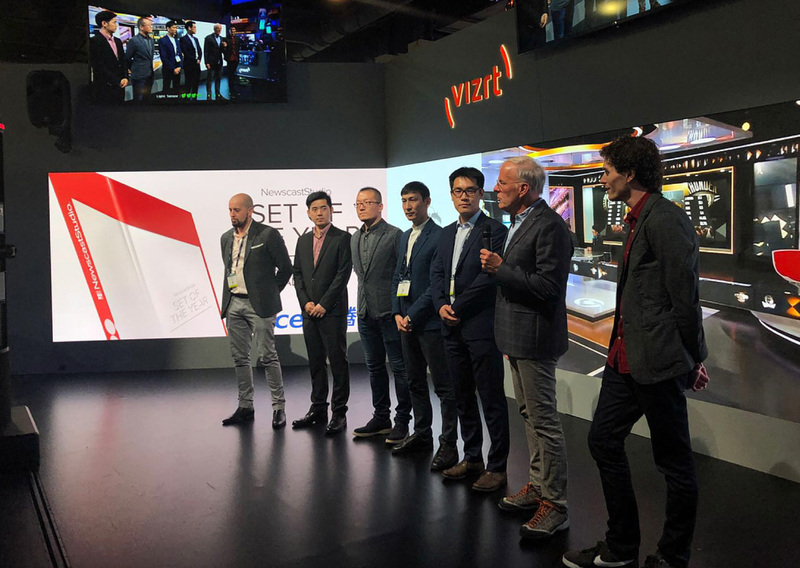 The ceremony, which included Erik Ulfers from Clickspring Design and Nathan Marsh from Girraphic along with representatives from Tencent, showcased the winning design for Tencent’s coverage of the NBA. Girraphic’s work for Riot Game’s League of Legends Mid-Season Invitational was also highlighted, which received an honorable mention in the awards program. Afterward, NewscastStudio’s Dak Dillon had a chance to speak with the design team about the collaboration and what set their work apart in the AR/VR space. The winning projects used graphics solutions from Vizrt to make the unique designs possible, including Viz Artist, Viz Engine and Viz Multiplay. NewscastStudio’s Set of the Year awards showcases the best in broadcast design, technology and lighting from organizations across the globe, now in its ninth year.